The table is set for a unique dining experience. 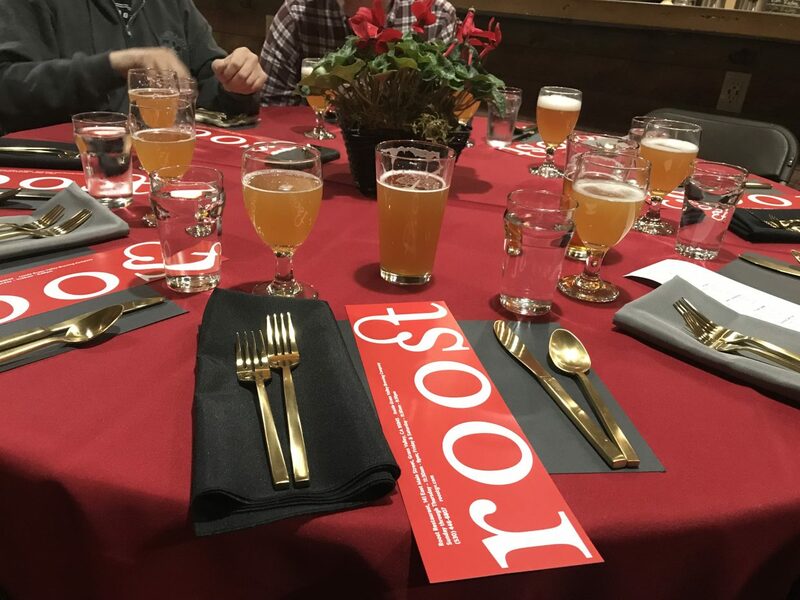 Grass Valley Brewing Company and Roost held their first of what the lucky attendees hope will be many food and beer pairing events on Friday, January 18, at their joint location in downtown Grass Valley. 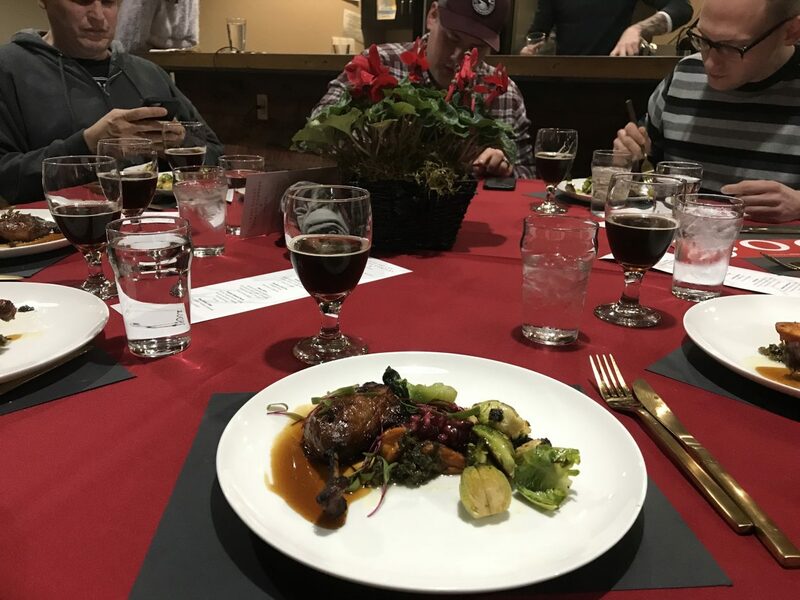 Similar to wine pairing dinners, each of the seven courses created by Sean Cox, chef and owner of Roost as well as Jernigans Tap House and Grill, along with chefs Jesse Henshaw and Kevin Soares. 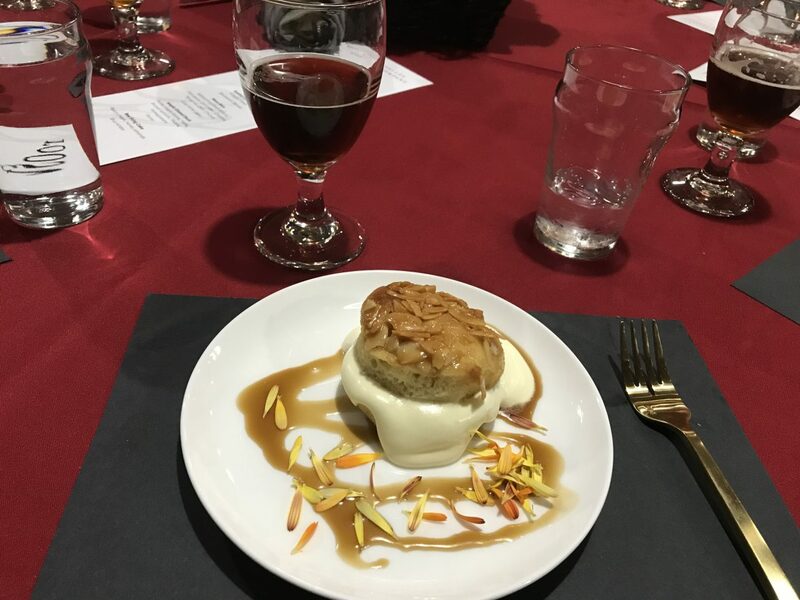 All courses were perfectly paired with a beer that had been selected by GVBC Brewmaster Mike Sutherland to enhance the flavors of each culinary creation. The result was a fine dining experience that was at the same time elegant and relaxed. 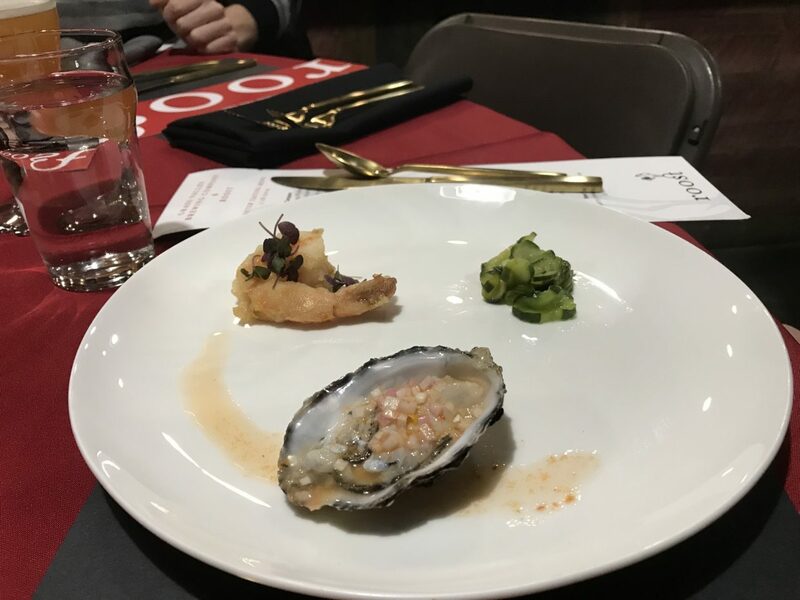 The first course consisted of three Japanese-themed canapé bites; a shrimp marinated in Ponzu, which is a Japanese sauce with a soy and citrus base; an oyster topped with Kosho, which is a citrusy Japanese condiment that is fermented; and a pickled cucumber salad. 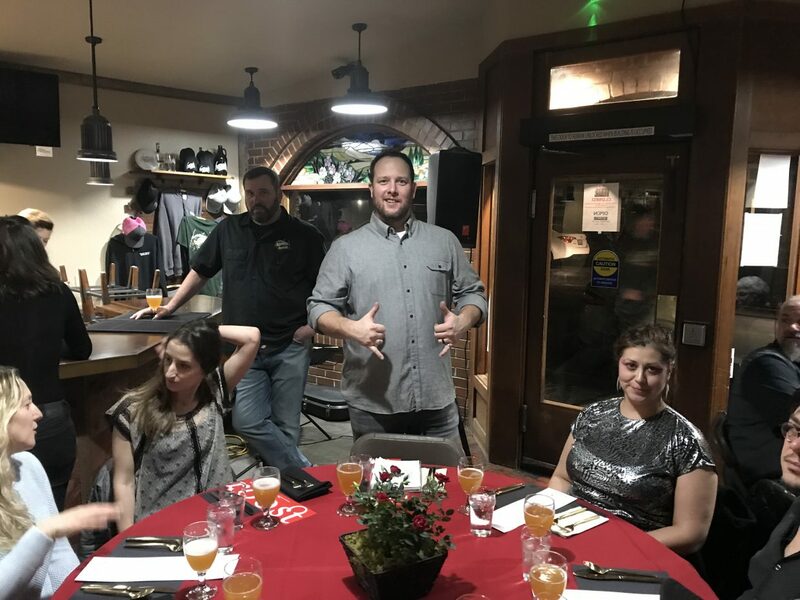 The beer that Sutherland paired with the Asian fusion course was a Firkin of their signature Haze Lifter, but with Meyer lemon added after the brewing process. 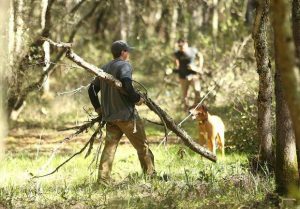 Sutherland described the beer as “rainy,” but rather than a winter storm, this beer had notes of sunshine, as well, and made the brew reminiscent of a warm spring day filled with scattered showers and rainbows. 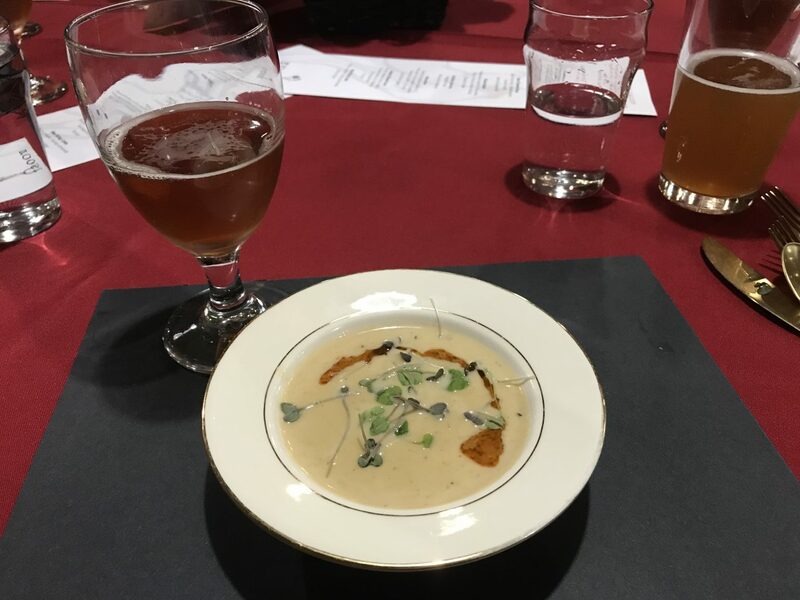 The second course was a more hearty beer cheese soup, which was made with Sierra Sunrise, the beer that was also paired with the course, as well as Chällerhocker cheese, cream, and herbs. The soup was both hearty and delicate, and the slightly bitter hoppiness of the Sierra Sunrise pairing enhanced its flavor marvelously. The frisee salad that followed the soup was a work of art. 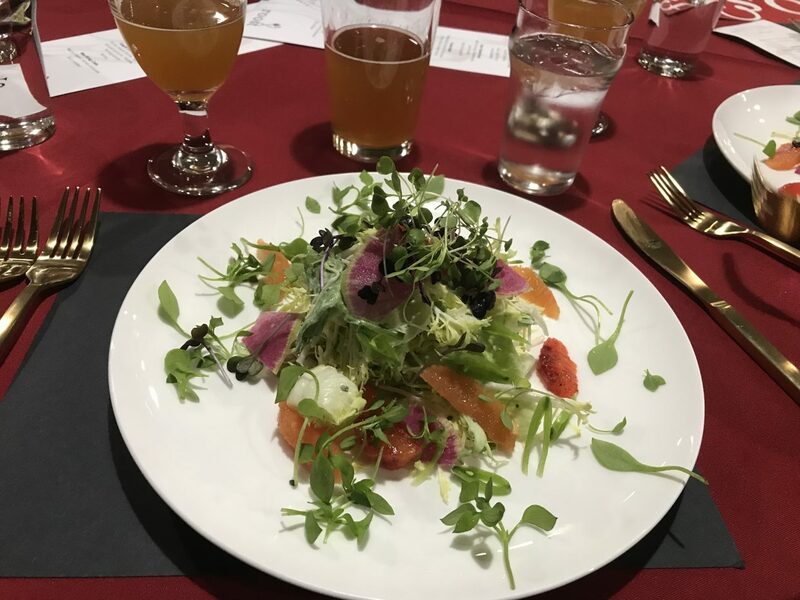 The crisp frisee was dotted with bright slices of watermelon relish, snap peas, and brined grapefruit that set off the flavor of the light dressing of Shiso crème fraîche and the Grateful Haze beer that accompanied it. 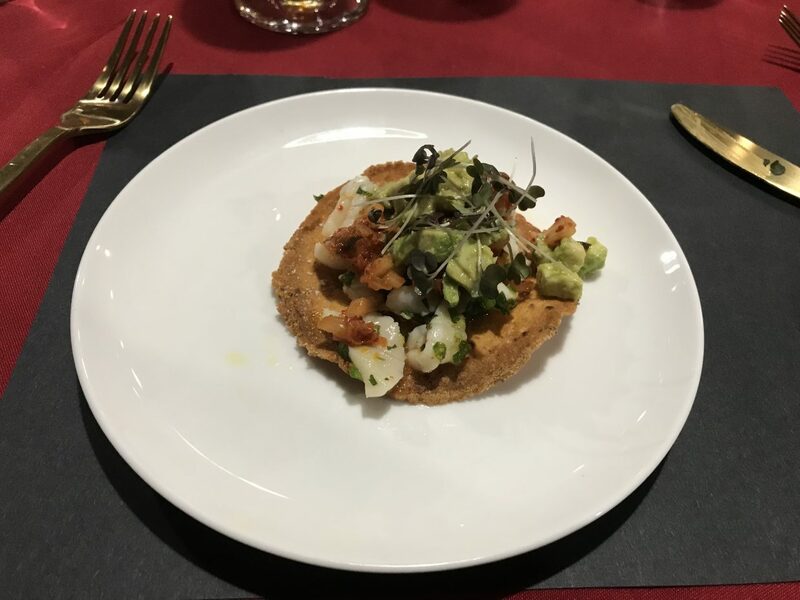 Next came a scallop ceviche that was topped with Kimchi and served tostada-style on a crisp masa round. 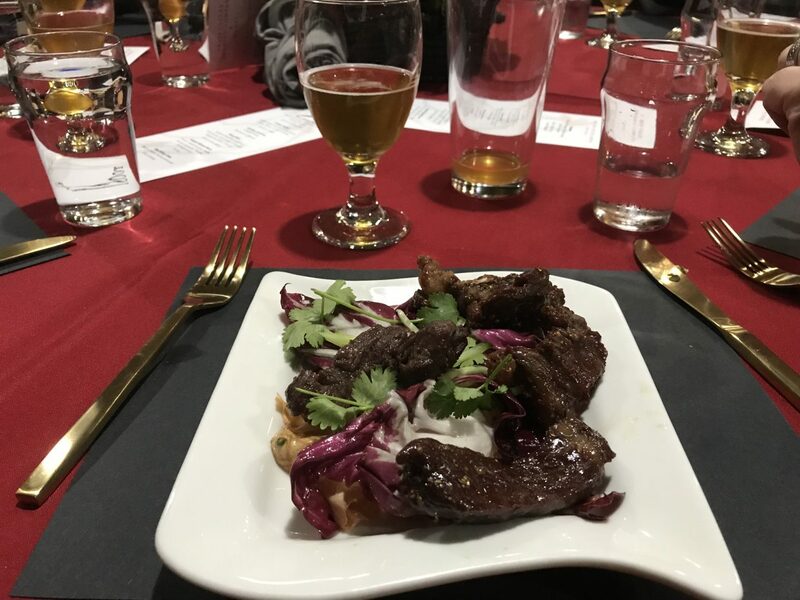 The delicate scallops were perfectly seasoned and the Kimchi added a slight heat to the dish, which was appropriately paired with the Brunswick Blonde, one of GVBC’s most popular beers both in house and around town. The fifth course was Neua Kem, a Thai dish of salted dried beef sirloin over hearty greens with fish sauce, cucumber, cilantro, tamarind, chili, and chicory. The Lost Mine Lager beer that was served with this course enhanced the tender dried beef as well as the uniquely dressed greens. The main course of the evening was something truly special. Duck braised in a porter maple sauce and sprinkled with fresh pomegranate seeds that popped like jewels both on the plate and in the mouth. 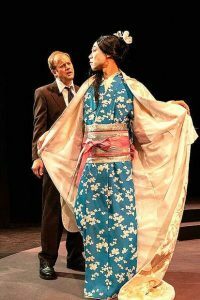 The duck was served with yams, perfectly prepared Brussels sprouts, and Takana, a Japanese dish of fermented greens. This plate of gourmet marvel was paired with a porter that was anything but ordinary. Dark and delicate, the beer added even more depth to the star dish of the meal; that is, until dessert. The grand finale was the exquisite, creative dessert dreamed up by local pastry maker Rosie Lynch. Called “bee sting cake,” this honey flavored cake was moist and lightly sweetened with honey, filled with a silky vanilla cream and topped with slivered honeyed almonds. The slightly bitter, slightly sweet Brut Amber that Sutherland chose to accompany the final dish took an already exquisite dessert to the next level. Not only was the food superb and the beer delicious, the service was impeccably executed and the flow of the meal was pure perfection. Be on the lookout for the next GVBC/Roost pairing and get your tickets early. 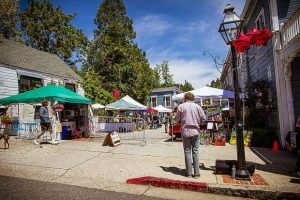 These culinary events are sure to be a quick sell out every time. 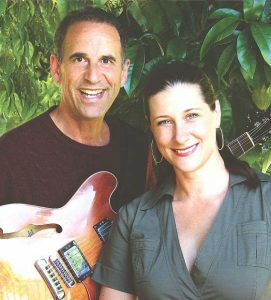 For information about upcoming events, visit http://www.gvbrew.com.